New York: Clarkson Potter. 2007. First Edition; First Printing. Hardcover. 0307347230 . Near Fine in a Near Fine dust jacket. First Edition stated. 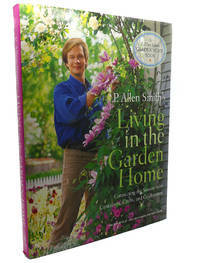 ; P. Allen Smith Garden Home Books; 11.10 X 8.70 X 0.90 inches; 224 pages; Original unclipped dust jacket protected by archival Brodart cover. All domestic orders shipped protected in a Box. .